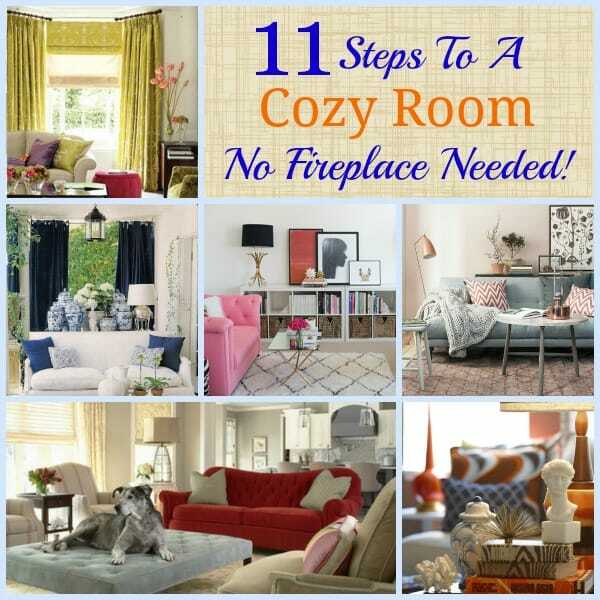 11 Steps To A Cozy Room – No Fireplace Needed! It’s that time of year again. The temps are cooling down and it isn’t unusual to smell the wonderful aroma of a fire when you venture outdoors. Nothing says cozy to me more than a fire in the fireplace. But not everyone has a fireplace. Nor does everyone want one. Here’s how to add cozy to your room when there isn’t a fireplace. Replacing your coffee table with an upholstered, oversize ottoman will go a long way to fill dead space and cozy up the room. Especially if the ottoman is covered in some sort of plush fabric. Pull furniture pieces closer together. 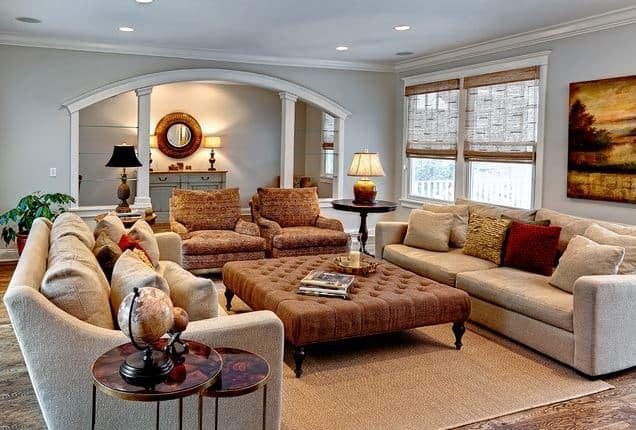 Having couches and chairs near one another encourages conversation and creates a sense of intimacy. 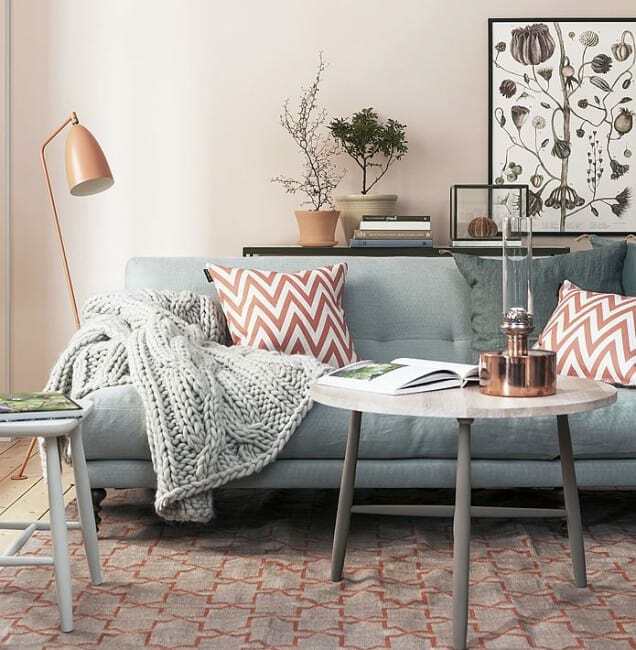 If you don’t change anything else in your room, the addition of throws or blankets will instantly warm up your space. Paint a wall or the entire room in a softer or darker color. Or consider adding textured wallpaper, like grasscloth, for example. Add texture and pattern. Even with all white walls and lack of window treatments, this room feels cozy because of the pattern of the pillows and the texture of the wood table and area rug. Add an area rug. 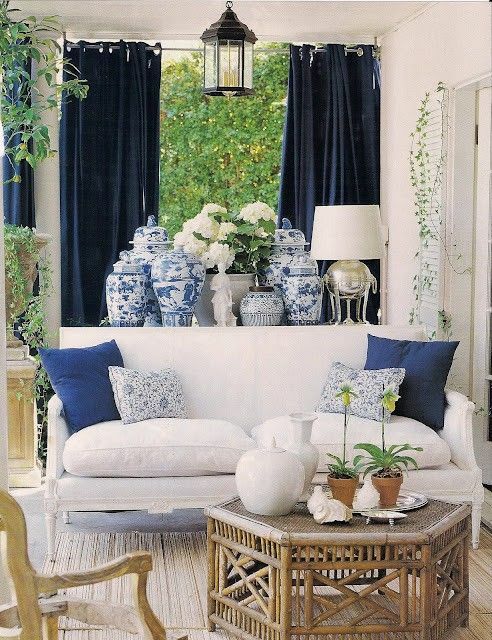 And yes, you can add an area rug even if your room has wall-to-wall carpeting. 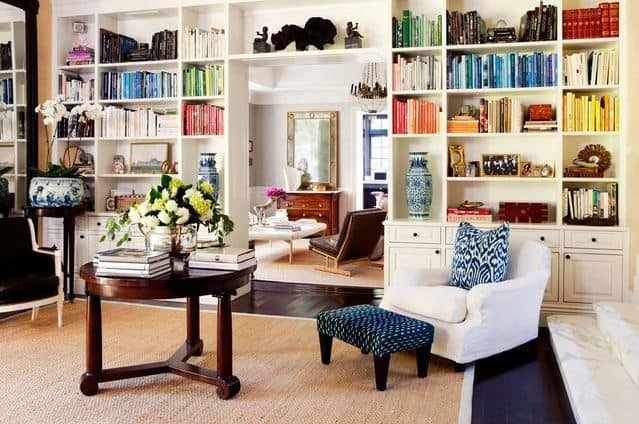 Add books and you’ll instantly have a cozy library feel. No bookcase? 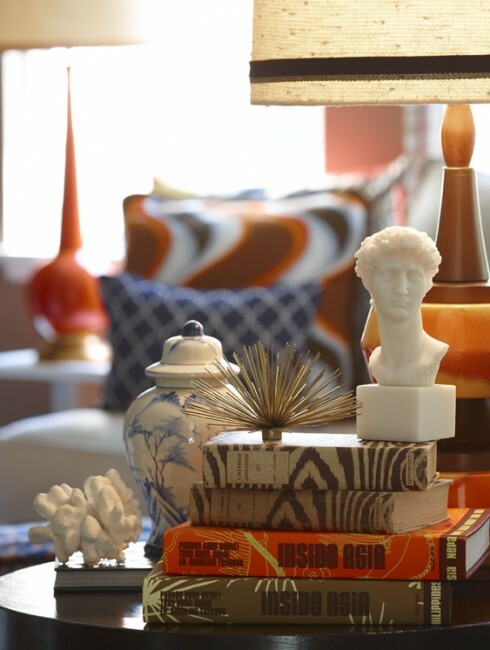 Just stack some around on accent tables or even on the floor. An added bonus is that stacks of books make great places to display special treasures. 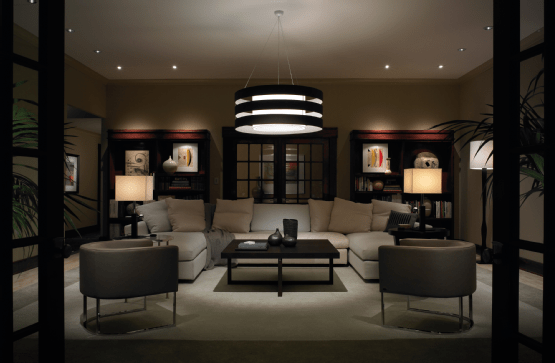 Make sure to include multiple light sources within a room. Overhead, ambient, accent and task lighting all work together to create a cozy feel. 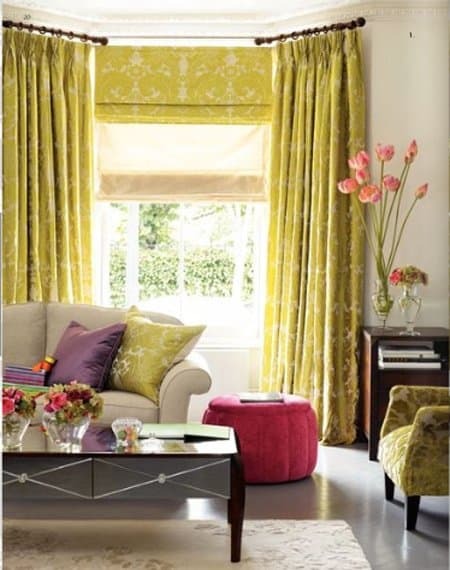 Add fabric to your windows. Better yet, add multiple layers of fabric. Display a collection. 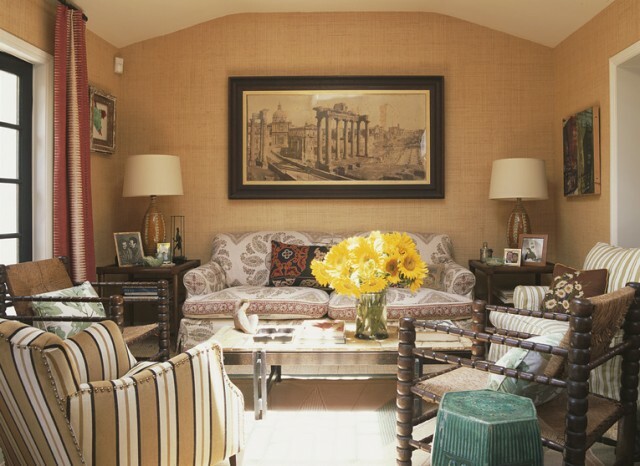 Just like pulling furniture closer together creates a sense of coziness, so does artfully displaying a collection. And last, but certainly not least! 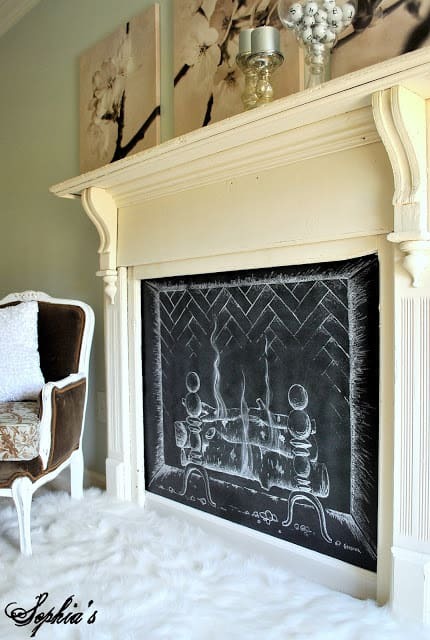 When you simply must have a fireplace, but the addition of one just isn’t possible, create a faux fireplace with the addition of a mantle and some chalkboard paint on the wall. I don’t know about you, but all this talk about cozy makes me want to settle in with a blanket, some thick socks and a cup of hot cocoa! 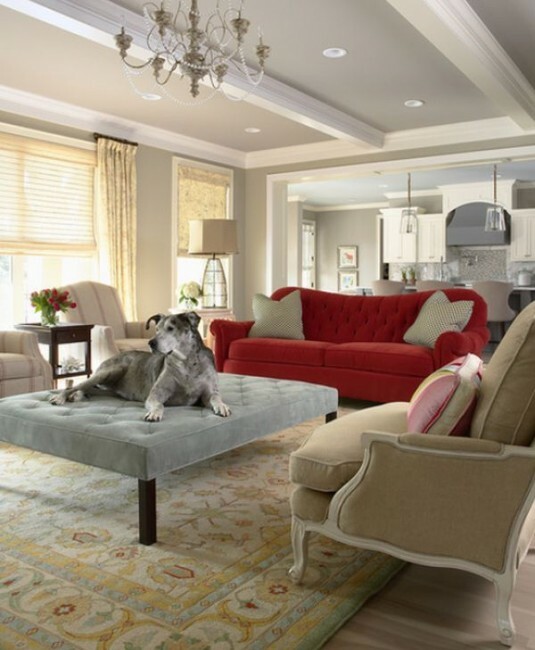 Such great design tips, Suzy! I love looking at other homes that are so put together when I feel like is just kinda hodge podge. Thanks for sharing the principles behind the looks! Great ideas! I love having throws on my couches! I’d love to pull the furniture closer but then my 9 year old couldn’t do flips or stand on his head…. daily. My oldest daughter used to be proud of her 1 handed cartwheels through the living room. Now, she wishes she could still do a cartwheel.